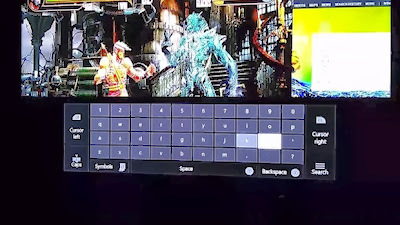 A new, unofficial, video shows the Xbox One's latest feature: Snap multitasking, that allows you to open up the Internet and other apps while playing a game.We see a group of first-time users navigating through websites using Internet Explorer on a side window while playing the game Killer Instinct. The description says it's from an Xbox One development kit, but it's not clear how recent the software shown is.In the video things seem to work quickly and smoothly, but the game does get squashed to the left-hand side of the screen. Microsoft's Albert Penello said that the final version of the Xbox One will not look like this. "This is an old build," he tweeted. "Not up to date. Game doesn't get squeezed like that and it's super slow. Current builds WAY faster." That may be true, but this low production film could show a fairly accurate depiction of a first time experience with the Xbox One’s user interface. The video has divided opinion amongst gaming fans. One user was excited, saying: "This looks promising, pretty smooth." Others were less impressed, however: "Looks like a mess. Microsoft really have problems."